The focus of the Compassion Ministry at Harvest Bible Chapel is to hear and respond to Jesus’ words for us regarding our responsibility for the “least of these” in Matthew 25:31-46. The church (body of Christ) is not a place, but a gathering of individuals changed by grace, who worship God in Spirit and truth. Therefore the local church is to be a community of believers who loves the least of these both in Word AND deed. To do one without the other empties love of its power. So it is the passion and heartbeat of the Compassion Ministry to love the least of these in Word through the sharing of the gospel, and in deed like the Good Samaritan (Luke 10:25-34). We do this by coming alongside the following organizations and ministries in partnership to support the work they are doing with our prayer, serving and giving.  A ministry of Harvest York Region that seeks to demonstrate godly love and practical support to people in our church who have physical needs such as painting and small repairs. Serve if you are skilled and experienced in doing hands-on, minor repair and maintenance work. • Safety for all those involved in Harvest Works. • Salvation for those who are served by Harvest Works. The 105 Gibson Centre serves those in need with the compassion and hope of Jesus through several avenues, such as their community food bank. Participate in the annual food drive at Harvest York Region. On the last Sunday of every month a group of Christians provide and distribute food, clothing, hygiene packs and other items as a means to share the Gospel of Jesus Christ to Toronto’s homeless population. The Markham-Stouffville Crisis Pregnancy Centre is dedicated to showing the love of Christ to the community through education and by providing support to all individuals involved in crisis pregnancy, post-abortion or single parenting. • Participate in the annual drive at Harvest York Region to collect baby care items & supplies needed by the centre. • Serve at their Moms & Tots Program for moms and children under three years old, which meets every other Wednesday. • Serve in their Father’s mentorship program. Samaritan’s Purse is an evangelical Christian humanitarian aid organization that provides aid to people in physical need as a key part of Christian missionary work. Operation Christmas Child seeks to evangelize and disciple via a hands-on project that brings joy and hope to children in desperate situations around the world through gift-filled shoeboxes packed by Canadians. • Participate each year in Harvest York Region’s Operation Christmas Child campaign by taking and filling a shoebox. • Safety and protection for the thousands of volunteers who help collect, transport, and process each shoebox gift. • Salvation of those who receive the shoeboxes and their families and their subsequent discipleship leading to churches growing and communities being transformed by the gospel.